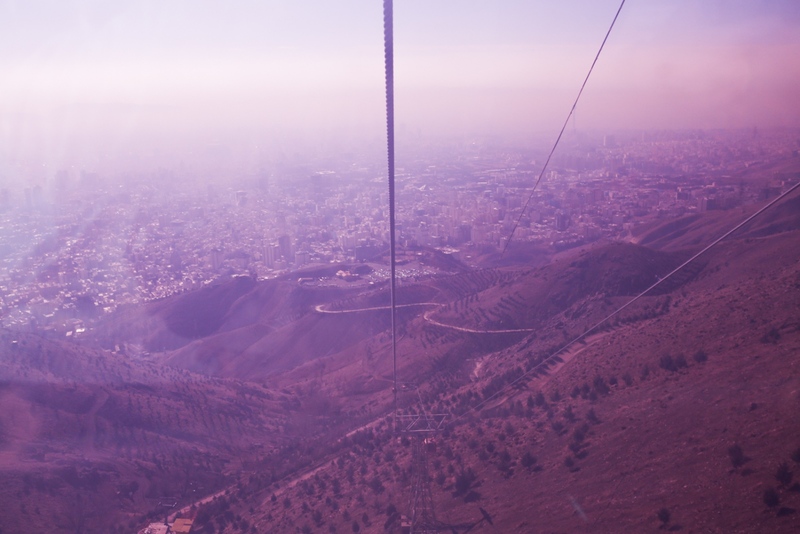 Tehran is seen from inside a cabin of the gondola lift that leads to the resort of Tochal. 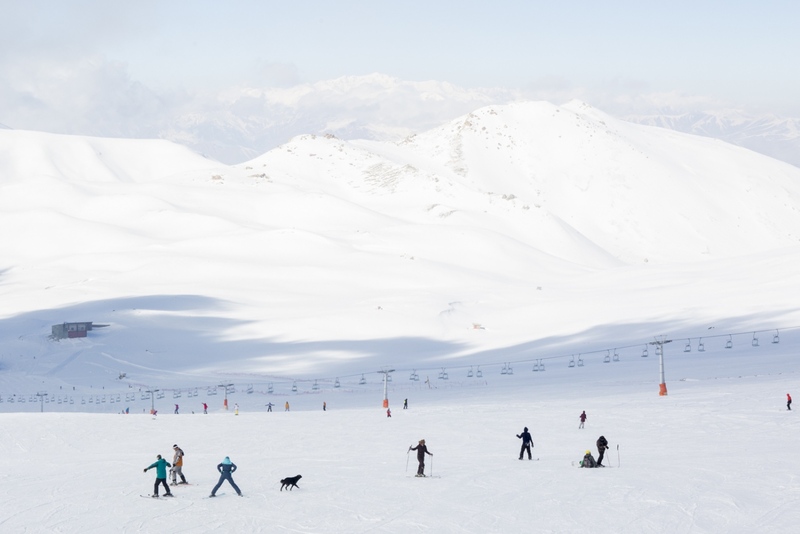 Scattered skiers and a dog are photographed at the Tochal resort in the Alborz Mountains north of Tehran. 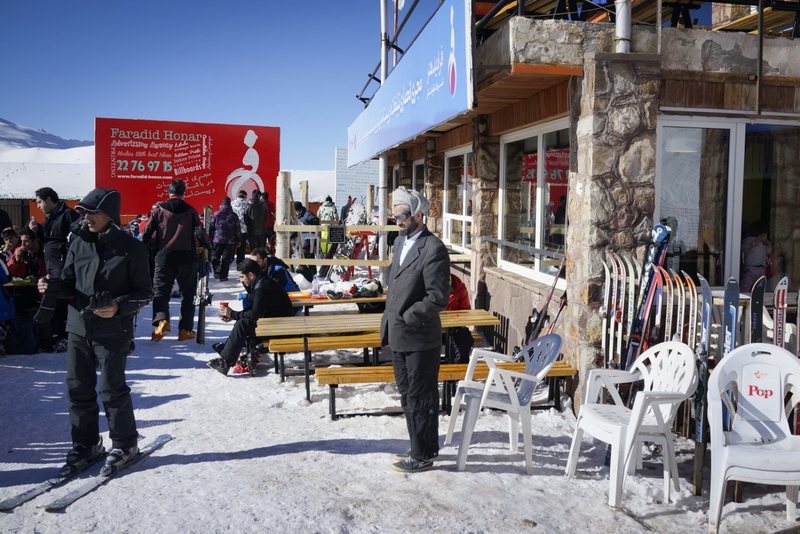 Clients and a worker are photographed in the restaurant of a chalet in Tochal, Alborz Mountains, North of Tehran. Iranians look at the landscape down the slopes of Darbandsar. 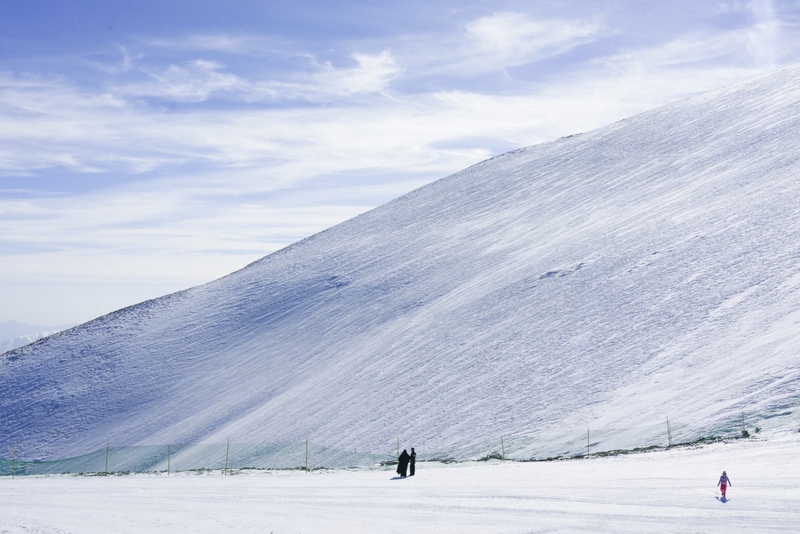 Alborz Mountains, North of Tehran. 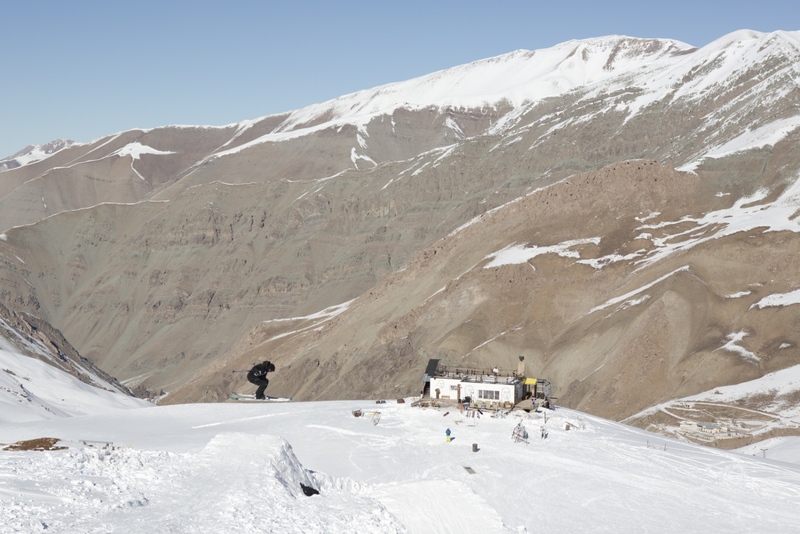 Arnaud Cottet, founding member of We Ride in Iran, jumps from a ramp for freestyle that he and his colleagues dug by shovel, given the lack of a snow machine. The Hamaloon Ice Wall, formed by the leaking of water brought to the shady Hamaloon Valley from a nearby spring, is a popular destination for rock climbers. 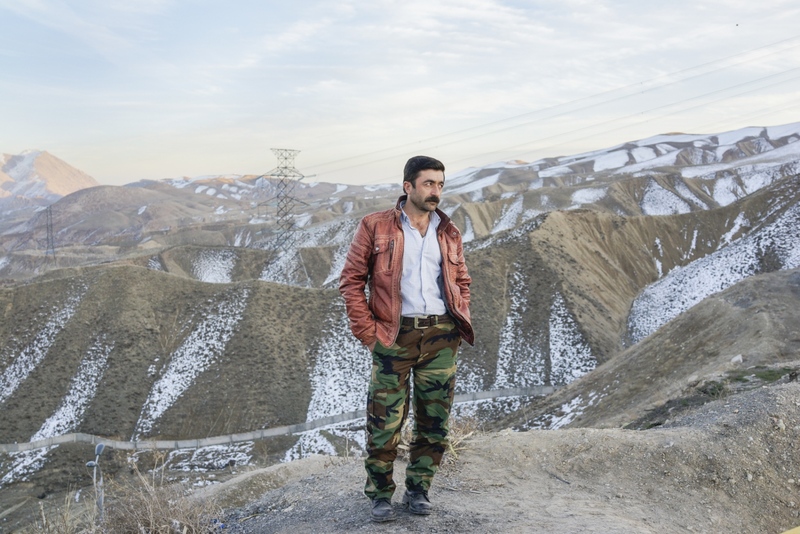 A taxi driver is photographed during a pause on a trip back to Tehran from the ski resort of Darbandsar, one hour away from the city. 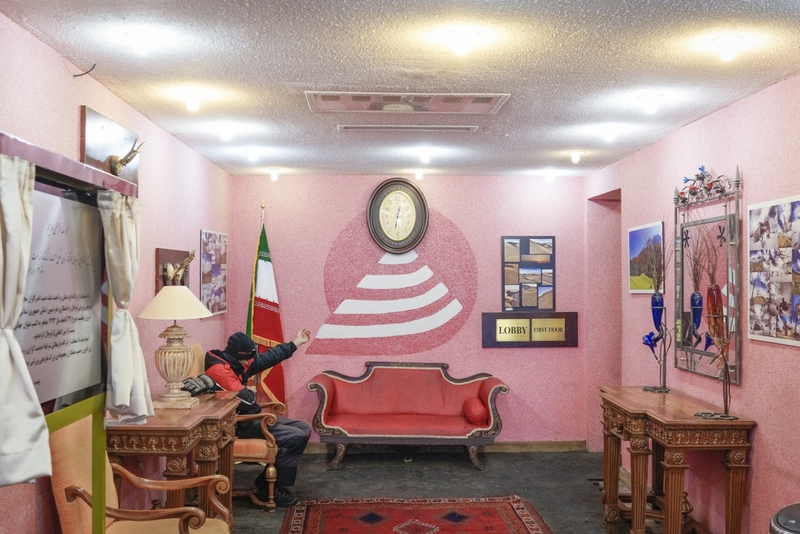 A skier is photographed in the hall of a hotel in Tochal, Alborz Mountains, North of Tehran. 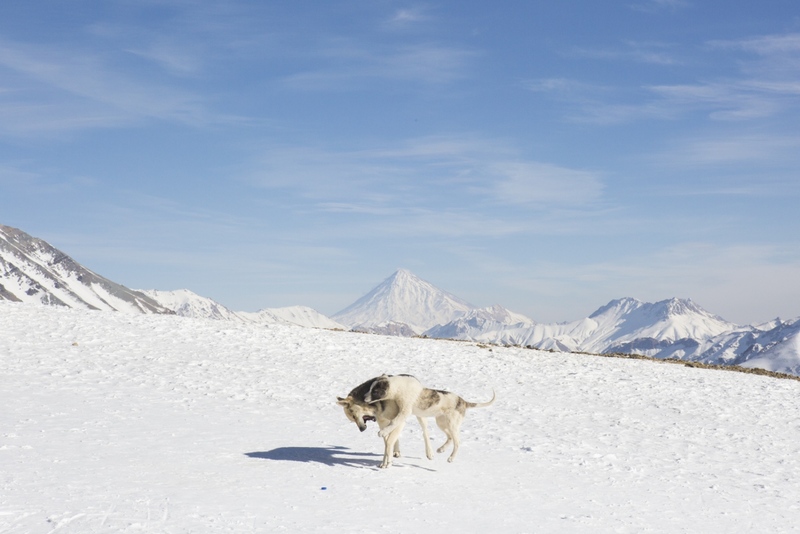 Wild dogs fight on the slopes of Darbandsar in front of Mount Damavand, the highest volcano in Asia, a national pride that takes on a prominent role in Zoroastrian mythology. 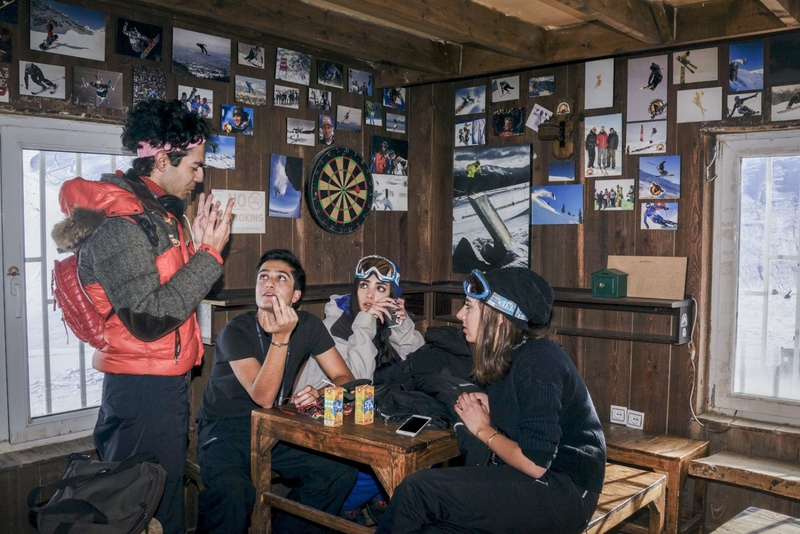 Young Iranian snowboarders relax at a chalet in the resort of Dizin, Alborz Mountains, North of Tehran. Skiers go up Tochal’s slope on a chair lift. Alborz Mountains, North of Tehran. 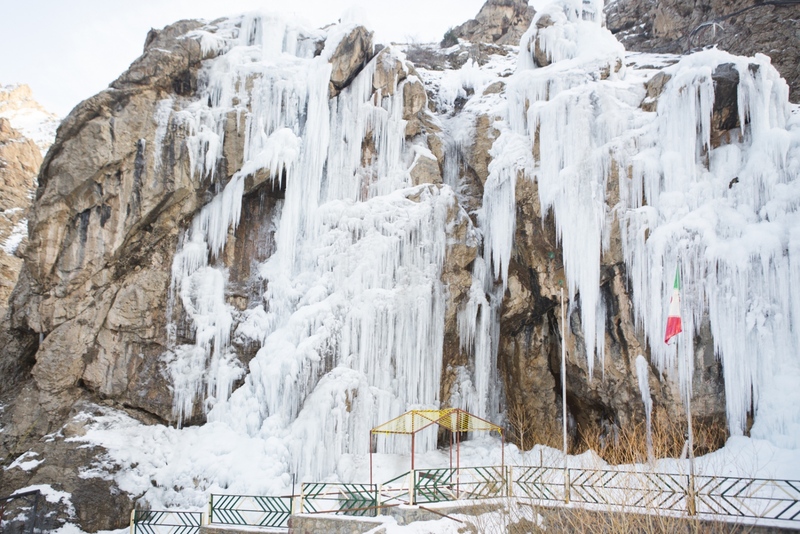 An Afghan worker stands out of a chalet in Dizin, Alborz Mountains, North of Tehran. 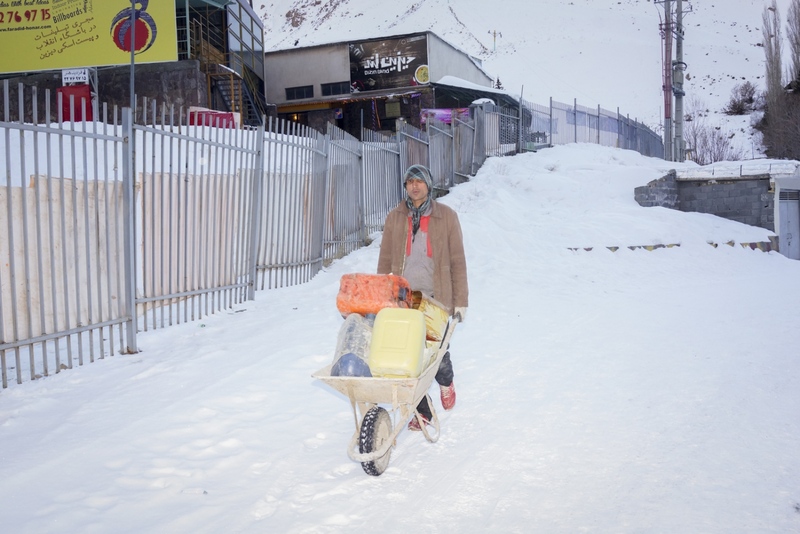 A worker is photographed close to the station of the funicular railway that brings skiers to the slopes of Dizin. 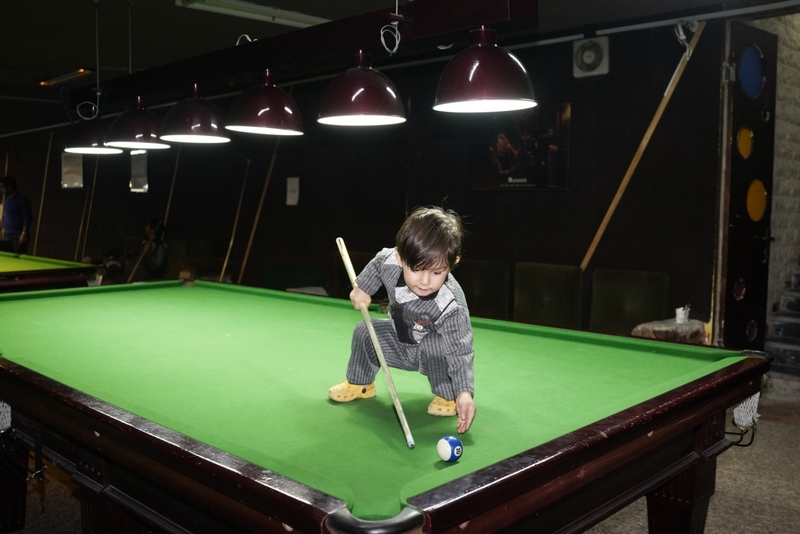 A child plays on a pool table in the basement of a hotel in Dizin. Alborz Mountains north of Tehran. Iran. 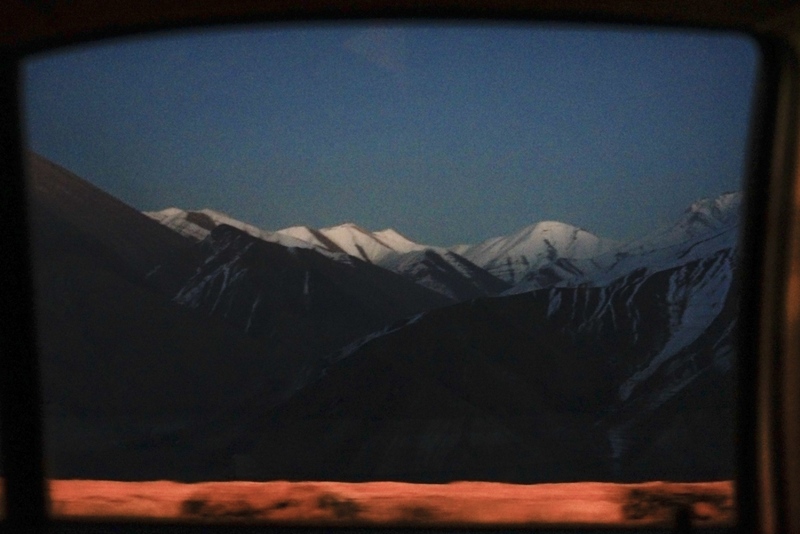 Mountains are seen through the window of a car on the way back to Tehran from Dizin. In the Alborz mountains north of Tehran wild landscapes of rarefied oxygen host few chalets of western inspiration, with a vintage twist. 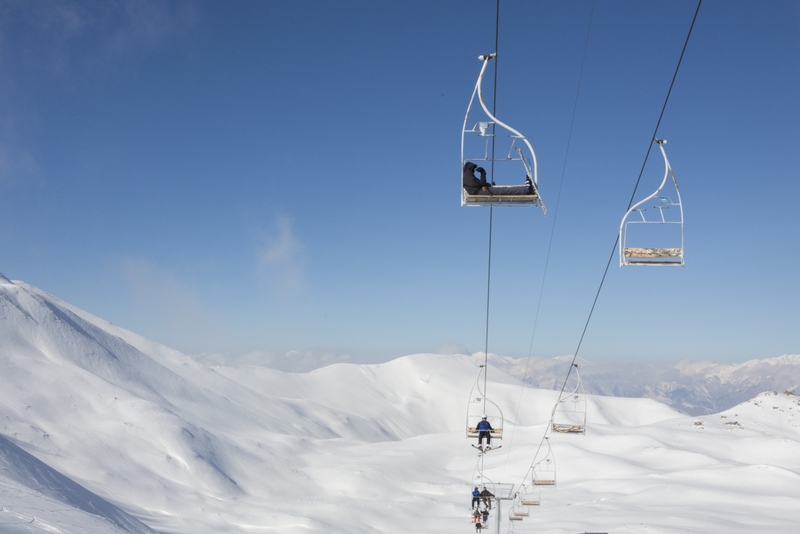 If snow sports are not new in Iranian history, their development on a wide scale is young, witnessing a slow but steady expansion. Foreign travelers grow considerably in number from one year to the following, while the local young generations recently started to improve in freestyle ski and snowboard, with the help of foreign organizations. 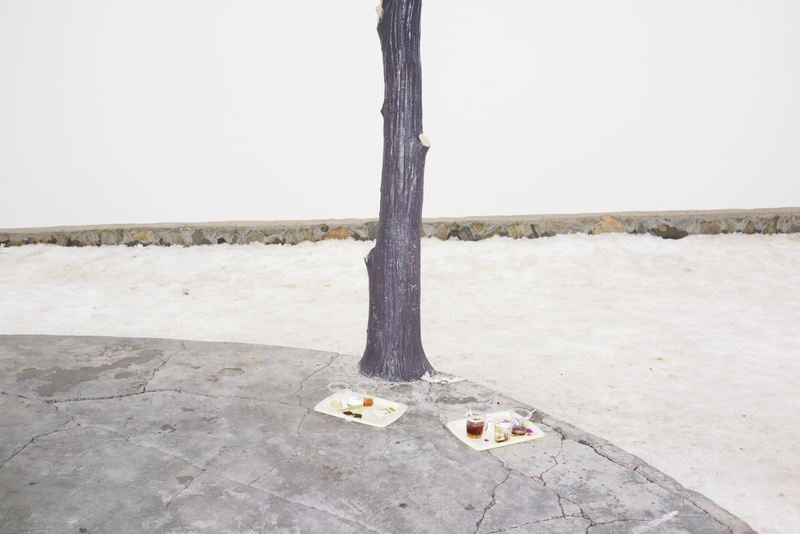 Families and youth often head to the mountain to get away from the chaos and the strictly controlled atmosphere of Tehran, giving life to scenes that are very dissimilar from the stereotypical representations of Iran.